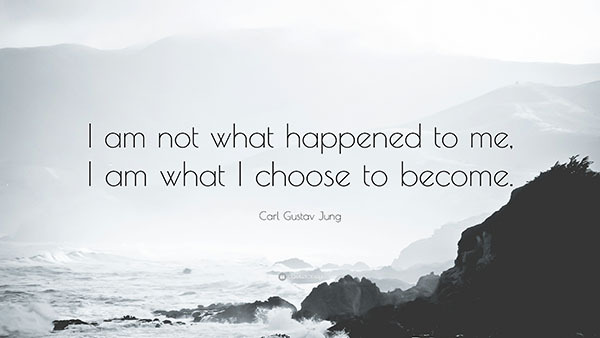 Jung used the term Individuation Process to describe the journey that individuals take to consciously discover and live who they truly are rather than who they think that they should be in the eyes of others. Jung believed that the Psyche has an innate ability to heal itself and that we can come to realize and accept the totality of who we are. Time and again I have witnessed this process of awareness and healing take place with the individuals that I have worked with as a Jungian Analyst and Sandplay Therapist. Jungian Analysis is one of many methods of healing and becoming conscious. Analysands (clients) and Analysts have developed a variety of definitions and metaphors to describe the process of Jungian Analysis. A friend of mine offered me a lovely simple metaphor for this very complex process. He said that it seemed to him that analysis was like digging deeply into the soil until one finds a seed that then has to be nurtured into life. The method of Jungian Analysis includes talking about issues that are of concern to the individual in waking life as well as working with one’s dreams. Every individual’s Analysis is unique as is the time that one spends in the process. An Analysis will naturally come to a conclusion. One is not in Analysis “forever”, although the individuation process carries on within us all of our lives. The individual makes the decision as to when he or she wishes to terminate Analysis. I have found that it is the most helpful to answer specific questions about Jungian Analysis directly with the person and so I offer a free initial consultation. The individual has an opportunity to meet me, explore the process of psychoanalysis and decide if this mode of healing meets their needs. Confidentiality and a sense of safety and trust are imperative to the success of Analysis. Individuals can feel confident that the integrity of my practice rests on these principles. While in Analysis, some individuals choose to seek out and participate in Body Therapies, Meditation and other Spiritual Practices. I fully support such endeavors. I also offer the opportunity for Symbolic work through the use of Sandplay and Therapeutic Art Work.